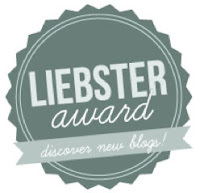 Liebster award: Better late than never! So I am going to apologize in advance to the lovely ladies who have recently passed on the Liebster award to me. My life has been a whirlwind since getting back from the holidays so I'm going to make up for that now. Kat at Crafternoon Delight, the ladies of Everyday Fray and Jess of The Crafty Roach have both passed this award to me! I'm going to copy Jess and answer both sets of 11 questions, share 11 facts about me, and pass it on to 11 blogs. 1. 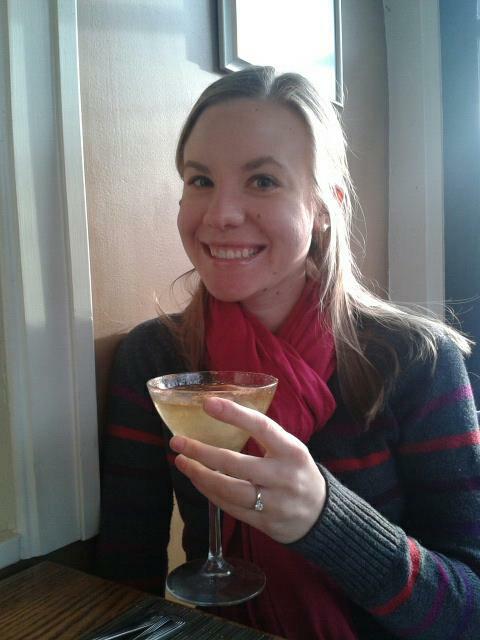 I just got engaged on Valentine's Day! Dan and I are planning to get married this fall (already feeling the planning crunch!) at the church I grew up in and where my parents also got married. 2. 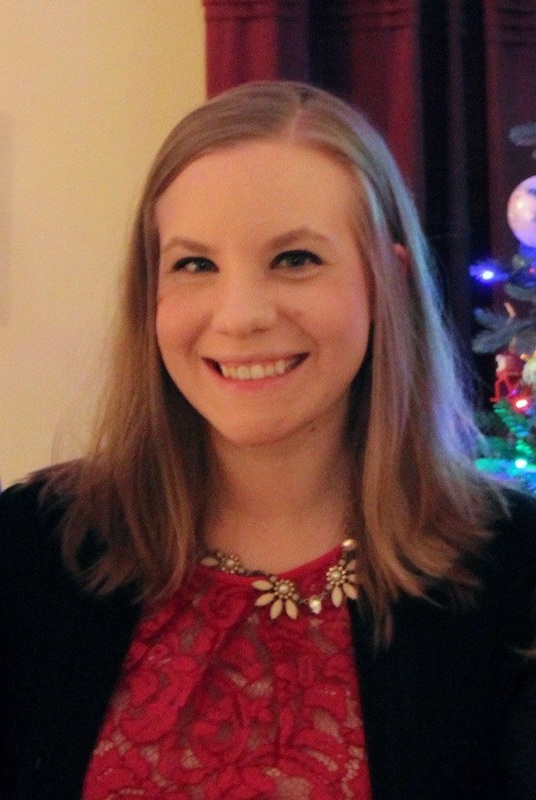 I am a 3rd year chemistry graduate student studying nanoparticle separations. 3. I have three living grandparents that are turning 81, 85, and 86 this year. 4. I am really good at killing plants, usually via over-watering or forgetting them when I go home over Christmas break. 5. My favorite animals are bunnies and giraffes. 6. Taylor Swift is my biggest guilty pleasure. That and basically any fast food. 7. I absolutely love getting mail. Other than bills, of course. 8. I broke a tooth in ballet class in high school. 10. I am the first girl in my family to get a 4-year college degree and first to go to graduate school. 11. If I was really brave, I would dress up as my adviser for Halloween sometime before I graduate. For a while we actually had similar haircuts last year. 1. Do you have a book you reread over and over? If so, which one? I've read Crime and Punishment 4 times. Other than that I am working on re-reading Harry Potter. 2. In an alternate universe where you are endowed super powers, but only one, which would yours be? 3. If only allowed one meal for the rest of your life, what would it be? 4. What is your favorite part about blogging? Getting connected with other people with similar interests! 5. Where would be your ideal place to live? I would love to live on Lake Michigan! 6. What is your favorite season of the year and why? Summer, because I love going to the beach and wearing sandals and shorts. 7. When you laugh out loud, do you have a weird snort or chortle or nuance that you do? What is it? I definitely do that thing where you're laughing and no sound comes out. I do that A LOT. 8. Your favorite type of crafting? 9. Do you workout? What is your favorite type of cardio if you do? I do not work out. I should. 10. Have you ever dialed Jenny at 867-5309? SPOILER: I have! 11. What is your attention span when it comes to how-to craft videos or tutorials for a new technique on the web? Kind of short. I usually can figure out ways to do things on my own, so unless its quick and simple, I usually get annoyed when the directions are too long. 1. What style of fabric do you tend to gravitate most towards, and are they often fabric lines from the same designer? I really like most styles of fabric, depending on the project I'm doing, but I like everything Tula Pink. 2. 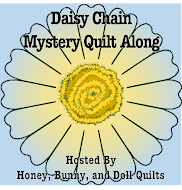 What was the first quilting blog that you remember stumbling upon? I am pretty sure that it was Cluck Cluck Sew. I also think I read the entire blog in one weekend. 3. Have you ever kept a quilt for yourself or are they always gifts? I definitely keep more than I give away. I'm still in the hoarding stage. 4. What is the most sentimental quilt project you've ever worked on? Definitely the Civil War style quilt that I am currently finishing up the hand quilting on for my fiance, Dan. He was so excited that I was making it for him and its big enough to use as a bed quilt after we get married! 5. Are there any colours that seem to find their way into every project you make? Most of the first quilts that I made are some combination of pink, green, and brown. Almost every project does end up with some sort of green because it so versatile. 6. Do you have any other crafty talents besides quilting? Scrapbooking, cross stitch, and a little bit of polymer clay sculpting. 7. Reading or watching TV/movies? I love both, but I don't end up doing a lot of reading for pleasure these days. I watch a lot of Netflix while doing other things. 8. Where will you spend your next vacation? I am going to Georgia for a friend's wedding in May! 9. What is one skill you wish you had? I want to be more handy for when I have a house someday. Also, I would enjoy being a ninja. 10. What is the best and worst gifts you have ever received? Best: As a young girl, my uncle bought me a full length mirror. That might sounds kind of shallow, but I spent a lot of time singing in the mirror and playing dress up growing up. Worst: Clothes that don't fit or aren't your style at all. 11. Camping or luxury hotel? 1) What is your favorite non-crafting related hobby? Probably watching shows on Netflix or DVD. 2) If you could have a coffee date with one person, famous or not, living or dead, who would it be? Probably my sister because she lives 12 hours away! 3) What is your favorite sewing (or crafting) notion? 4) Do you have a nickname? If so, what is the story behind it? I've always been Alison and not Ali, but my fiance has a whole range of nicknames for me, including Sweets, Albear, and Bunny. 5) What is the best gift you've ever given? I pride myself on giving thoughtful and very personal gifts for people. It's my thing. But I don't know what would be the best...maybe making the quilt for my fiance tops the list. I did get my sister an engraved pendant a few years back as part of her Christmas gift and she cried, so that's pretty good too! 6) If you were reincarnated, what would you want to come back as? Probably a house cat. They live the life of luxury. This might sound kind of cheesy, but I would get an arrow or an angel because those are my sorority's symbols. 8) What food did you love as a kid but now can't stand. Or vice versa? (Mine is beets and Brussels sprouts, respectively). I am not very picky at all when it comes to food and the only weird thing is that I don't like English muffins because of the way they smell. Yeah. Weird. 9) What is your favorite thing you've ever made? I love all of the quilts that I have made, but I think my favorite is my teacup quilt. 10) If you were to update Wikipedia, what would your entry be? I would make sure that more pages about different chemicals would have more useful stuff on them like density and solubility. I'm such a chemist. 11) Do you have an odd skill or talent? (For example, I have an uncanny ability to determine which celebrity a person resembles [this is a fun bar activity]). Not in the slightest! I have an odd robot voice and do a pretty silly Batman voice as well. 1. What is/was your biggest crafting disaster? 2. What are your favorite TV series (past and/or present)? 4. If you could talk to your 10 year old self, how would they react to you today? 5. What is the most beautiful thing you've ever seen? 6. Favorite thing to cook/bake? 9. What is your favorite pair of shoes? 10. If you went to the Oscars, what kind of dress would you wear? 11. Would you want to become a famous blogger or just continue doing it as a hobby? Have a lovely evening, all! I finished this one up while Dan was here this weekend, soaking up the glow of being just engaged and watching lots of our favorite shows on DVD. The binding is the same as the backing and really pulls out the aqua in the quilt. This one is definitely my new quilt for cuddling with when I watch movies. Linking up with Finish It Up Friday and A Lovely Year Of Finishes! Happy belated Valentine's Day, everyone! I came home from work on Thursday and he had come in for the weekend and gave me a Valentine to read and then told me to turn it over. On the back it said "Alison, will you marry me?" and when I looked at him he was on his knee with the ring box open! I was totally and completely surprised! We are so excited and so astonished with the outpouring of well-wishes from all of our friends and family! I finally cut into my Blitzen jelly roll that I got for my birthday...last June! Linking up with Freshly Pieced for WIP Wednesday! I managed to get my paws on three yards of white Kona (thank you JoAnns!) and finished sashing together the quilt top tonight. I haven't decided yet if I want to back this one with flannel or not, but this one is decently sized already without any borders. I love these fabrics together and might have to keep them together to make something for myself now! Sunday, I finished all of my cartwheel blocks and started sashing the blocks together. Of course, I ran out of my white Kona and can't go any further with this one. But it is coming together really well! Now to figure out where to order some white Kona from! I made two more cartwheel blocks during the week and two yesterday, which means I have 8 of 12 done! Hopefully will be able to get the rest of these done this week! This month, Pauline requested us to make wonky houses. Normally, I am not much into wonky blocks and improv piecing, but this was very fun and liberating! And I used basically all scraps for the blocks. Major win. I'm not going to be discouraged by the fact that I didn't make my January goal of finishing the hand quilting on my boyfriend's Civil War quilt. Heck no! That's gonna get done this month too. Check out what everyone else is working toward this month at Fiber of All Sorts and Sew Bittersweet Designs!